Wendy is a Partner in the Property and Real Estate and Company and Commercial Groups. She has worked in private practice following qualification and became a Partner in her former firm in 1997. 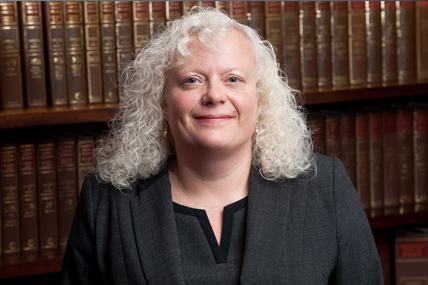 Wendy has been dealing with property and associated company and commercial matters since 1984. Her experience encompasses the buying, selling, leasing and finance of land and buildings both residential and commercial for individuals, companies, Pension Trustees and liquidators. Recent matters of note include advising on and setting up a scheme for a developer in a 28 unit mixed use scheme and dealing with the sales on and advising the liquidators on a sale of industrial premises. Prior to joining the firm Wendy regularly presented to clients on a variety of topics. Outside the office, Wendy enjoys the outdoors and goes walking in the Derbyshire Peak District as often as possible. She also enjoys swimming and dancing to “Northern Soul” music which keeps her fit.